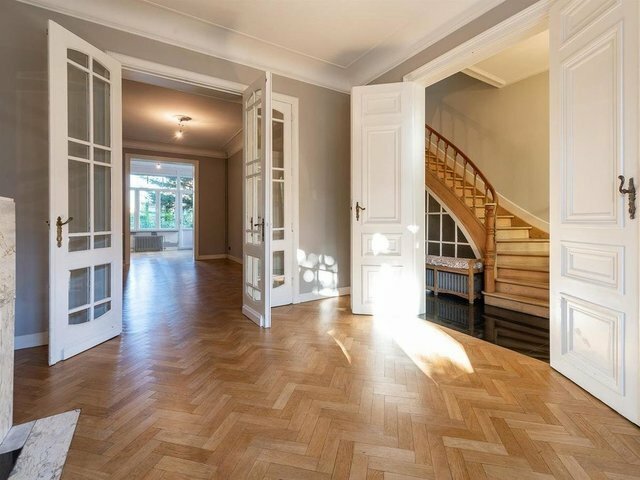 Located on Avenue Coghen, house of ± 425 sqm with south facing garden. House entirely renovated and composed of an hall entrance, a living room in three rooms in enfilades, a super equipped kitchen with a dining room opening on the terrace and the garden. On the floors, five bedrooms including a master bedroom with a bathroom, a dressing room and a terrace, a bedroom with mezzanine, an office, two bathrooms. In the basement, a spa including a sauna, a steam room and a jacuzzi. Other: electric shutters, cellars, garage and outdoor location. The Brugmann area is known for its quality of life, it is a quiet and green area surrounded by shops and restaurants. It is located near several high schools. Easy access to public transportation. For further information, please contact Cyrielle Charles de Moor at +32 (0) 2 640 08 01.